From criticizing NATO and the World Trade Organization, to quitting the UN Human Rights Council, to dropping out of the Paris climate deal and the Iran nuclear deal, and now to pulling U.S. forces out of Syria, President Donald Trump is not shy about making big calls. And those big calls all have the same target. The Trump administration has a theme even if, amid resignations and firings, it’s hard to keep your eye on this ball. It believes great power competition has returned and the United States needs to recognize it. This theme is a useful guide to policy and an accurate description of the world. And it has corollaries. One of these corollaries is that the United States can no longer afford to waste time and resources on commitments or institutions that can’t last or don’t work. In the 1990s, it was easy to be blasé about these, in the hope that they would come to something, or out of unwillingness to rock the boat. But today, those hopes have been dashed. The boat needs rocking. So the administration has challenged approaches that aren’t sustainable. Like me, you may not always agree with how the challenges have been made. But they had to be made. Low European military spending has been a sore point for the United States since President Dwight D. Eisenhower. 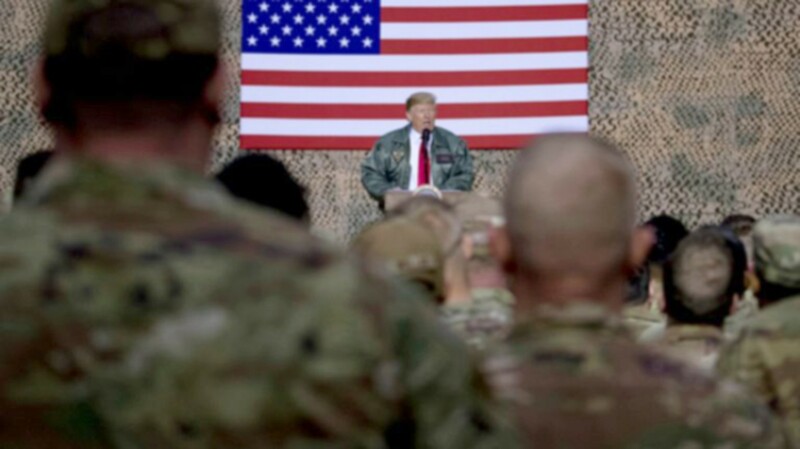 But now, facing a resurgent Russia, a U.S. commitment to NATO that requires us to do most of the fighting is militarily and politically intolerable. This can’t go on. Unlike Trump, I believe in free trade. But China is a trade cheat and an intellectual property thief. It also benefits from developing country status in the WTO, even as it has risen to be the world’s second-largest economy. This can’t go on. Again, unlike Trump, I don’t think tariffs are the best way to challenge China. No matter what the White House says, it is U.S. consumers, not Chinese exporters, who pay the tariffs we impose. But the old approach on China wasn’t working. It couldn’t go on. The Iran nuclear deal also wasn’t made for the long haul: It would expire in 2030. The Paris climate deal was built on the premise that the developed world would hurt its economies by taxing carbon, while China played the part of the developing nation and did nothing. This can’t go on. The UN Human Rights Council is a bit different. Unlike China or Syria, the council doesn’t matter in the real world. We’ve tried to fix its anti-Israel bias, and we’ve failed. The council is an embarrassment and a waste of our time. So the only sensible thing to do is to stop pretending it matters, and get out. So what about Syria? My instincts haven’t changed. The United States should stand by its friends and allies, and what we start, we have to finish and if we don’t plan on finishing, we shouldn’t start. Being a great power means keeping going when the going gets tough. My heart is against quitting. But yet Trump may be right. The United States can help only those who want to help themselves. Of course, there are people in the Middle East who want to do that. But there may not be enough of them. And we have now had two presidents in a row who were eager to get out of the Middle East. It’s too simple to say that the American people also want to get out. But they clearly have no overriding preference for staying. If we are going to leave, we shouldn’t drag out the process of withdrawal unduly. I wish this wasn’t a choice between bad options. But at this level, all the choices are hard, which is why leadership matters. If Trump wanted to, he could make the case for staying. If he doesn’t want to, the U.S. commitment in Syria will become another thing that can’t go on.